From left: John Fairweather, regional resilience advisor, Karen Macaulay, national emergency preparedness communications and liaison manager (both Scottish Ambulance Service), Mark Ilderton, head of ScotRail Alliance Integrated Control. Delays to trains where a customer has taken ill and needs urgent medical treatment have been cut by 37 per cent due to a new partnership between the ScotRail Alliance and the Scottish Ambulance Service. Now, when the ScotRail Alliance’s Integrated Control team is advised that a customer on-board needs medical help, the train travels to the point where the nearest ambulance is located, rather than the ambulance going to the station closest to the point where the customer first took ill.
Due to these changes, help is reaching the ill customer more quickly and delays to train services have reduced by 37 per cent. When working to the previous model, it wasn’t just the train with the sick customer on-board that was impacted but also others on the same route as they could be delayed while ambulance crews attended at the incident. In July 2017 delays per incident in Scotland (when other services are impacted by incidents on the network) were the lowest in the UK. As the Scottish rail network is shared by the ScotRail Alliance and other rail operators, a joined-up approach for cross-border and freight trains means everyone is working to the same priority. This improved performance comes at a time of improved performance across Scotland. 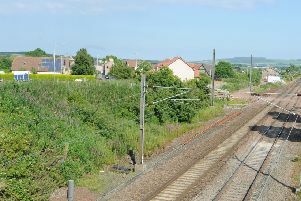 Between July 3 and 5, 96 per cent of ScotRail Alliance trains ran on time. Mark Ilderton, the ScotRail Alliance’s head of integrated control, said: “Our priority is always delivering the best service for our customers, which includes getting help quickly for anyone who has taken ill.